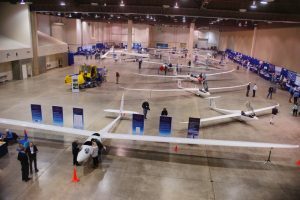 Aerospace dreams are still in reach. . . .
At the Soaring Society of America Convention in Reno last March, the crown jewel of the dream machines in the exhibit hall was Perlan – a experimental glider built to the edge of space. I got a chance to see it, even look into the cockpit. This summer Perlan returned to the Andes Mountains in southern Argentina – maybe the only place in the world where the atmospheric conditions are such that the highest of high altitudes can be reached. 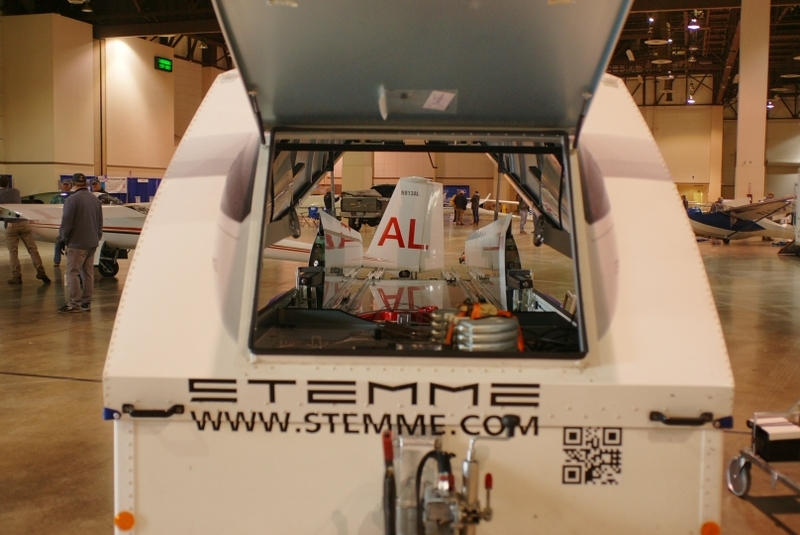 Perlan’s cockpit is pressurized. 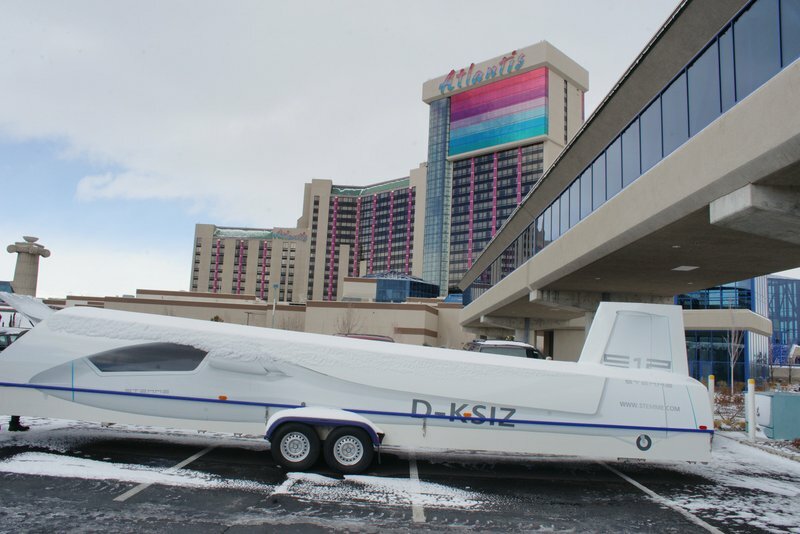 The ship takes stratospheric tows and then climbs even higher on mountain-generated waves in the atmosphere. 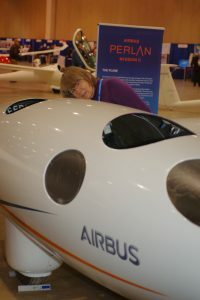 On September 2, Perlan shattered every glider altitude record in existence, including its own record from the summer of 2017. It soared over 76,000′. That’s higher than the altitude record set by the U-2 spyplane. The Perlan pilots saw the sky start to turn black and Earth’s distant blue horizon start to look curved. 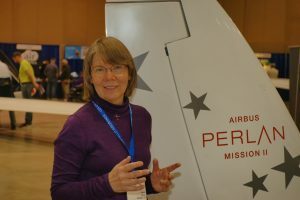 Read more about Perlan here. They have a fabulous Website! 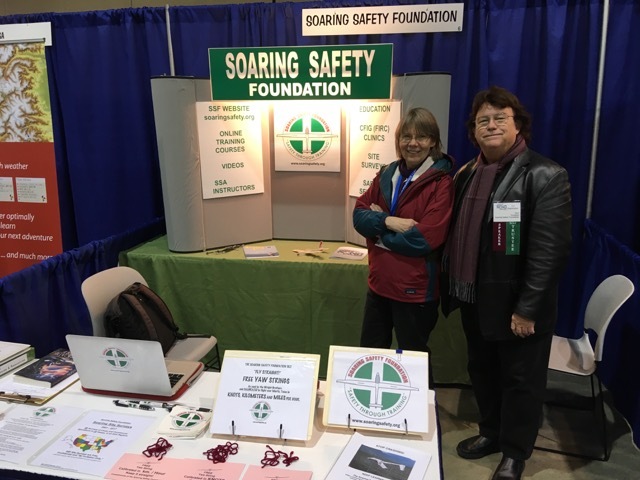 Last month, I flew to Reno for the Soaring Society of America’s biennial convention, and was it ever a change from Houston. Houston was already in an early (and flat)Texas Gulf Coast Spring. 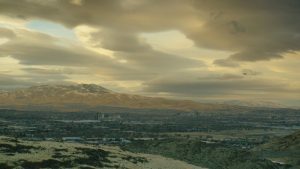 Reno not so much: surrounded by mountains etched against the sky in dry clear air, under tangles of lenticular clouds, Reno was winter-brown. 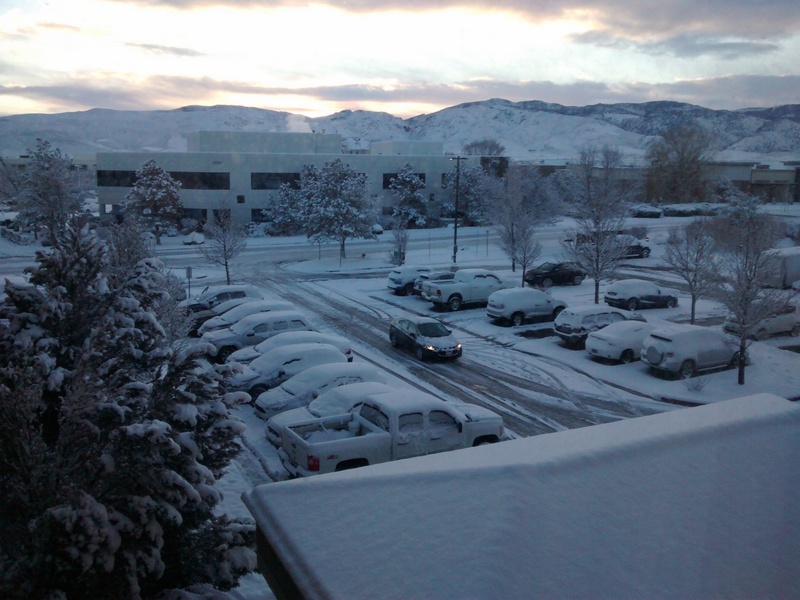 And then it snowed. A lot. And Reno? The sun came out. 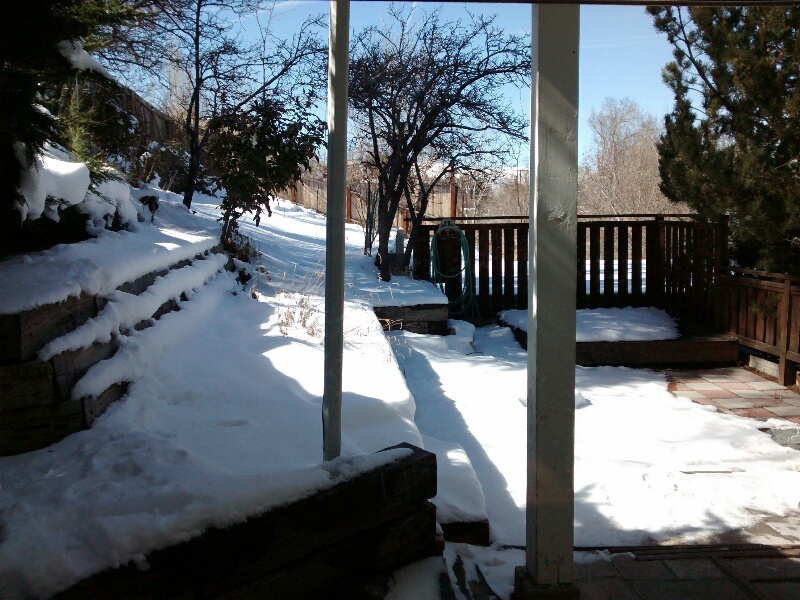 The snow sublimated, melted, or stuck around in (relatively) harmless and picturesque places. Travel is a cognate to the nowadays more ominous word travail. The root meaning still works. Travel is challenging even with cars and jets. It’s debilitating, as any airline pilot can tell you. Yet when you travel you meet people and places you wouldn’t at home, and you may see wonders. 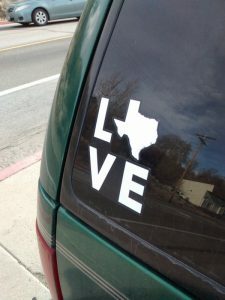 Or even unexpected reminders of home. Finally the stars aligned for me to regain my currency as a sailplane pilot. The weather, the gliderport runway conditions, the two-seat sailplane and the instructor all became suitable or available at the same time! While flying with an instructor at the start of a new season or after a long layoff isn’t really mandatory, it IS a good practice. In this case, I took advantage of the excellent instruction provided by CFIG Keith Miller and under his watchful eye performed two complete flights and one simulated emergency: a “rope break” at low altitude, necessitating an immediate return to the runway. It was a good workout and Blanik 5 (a Czech-made Super Blanik L-23 trainer) is a good ship. Seen from the flight line, this is SCOH’s L-23 “Blanik 5” on final approach. They say it’s an ill wind that blows no good. Cold fronts like last week, bone dry with strong north winds blowing across drought-parched land, can be very ill indeed, sending the risk of wildfire sky high. Strong north wind was what stoked the September wildfire that threatened the Texas Renaissance Festival grounds, the Episcopal church camp – Camp Allen – and my soaring club, while burning houses, fields and trees in three counties. Wind like that is no fun to fly in, either. The drought itself, though – soaring pilots around Houston found a bright side there. None of us would WISH such a drought on ourselves or anyone else, but it created some of the best soaring conditions in memory. One contest pilot made a set of outstanding triangular flights from our field to two turnpoints and back. His longest triangle was 875 kilometers. That’s 544 miles in an aircraft without an engine across the Texas coastal plain. Another pilot achieved a straight-out flight to land just this side of Amarillo. And a third pilot reached an altitude of 9,000′, while several got so high they could see the Gulf of Mexico 100 miles away. So yesterday the flavor of the “clubhouse flying” was an unusual mixture of delight in great flights and dismay about scary wildfires, shrinking lakes, and dying trees. Meanwhile takeoffs (as well as one flight-review downwind landing with hard braking action) unfolded in clouds of dust. Bright side and bad side both – it’s nowhere near over. Yesterday may have been the last day of summer: it was warm and sunny and I went to my soaring club and launched in a glider and actually soared – stayed up for 50 minutes the first flight, and gained 1000′ of altitude in a cooperative thermal on my second flight. 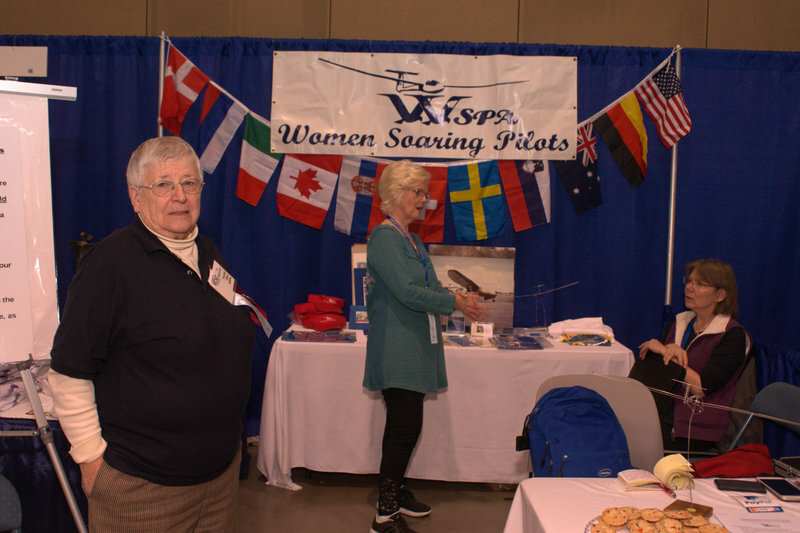 For a nice nutshell of what it’s like to fly a glider, take a look at my club’s home page, www.scoh.org. My glider was Blanik 5, one of three L-23’s in the club fleet, and the runway was mostly grassy in contrast to how it looked two weeks ago: drought-burnt brown. Last weekend the Field had five inches of blessed rain, and the grass came back, with little pink and white and purple wildflowers to boot. I’m not sure hope springs eternal, but it does spring back. This weekend I soloed a glider for the first time in eight years and loved it. For way too long, I’ve had to concentrate on other things, but now I can fly on my own again. First I had two flights with the instructor for a review of airwork – slack towline corrected with yaw or spoilers; boxing the towplane wake; slow flight; stalls; side-slip left and right. And a lot of steep turns in the form of thermalling at a 45-degree bank angle to cling to narrow thermals. That technique worked great and the first flight lasted almost an hour and a half. Part of the time we were in thermals with vultures. They are lovely flyers, and they gravitate to thermals, and if a glider circles the same way as the vultures, they take it for a big white bird and don’t mind. The species called black vulture has distinctive white patches at the end of their glossy black wings. I could see individual flight feathers on some of the birds. It was a very hot day but distinctly cooler under a nice cloud. It was a fine day for thermals and vultures and glider pilots. Other pilots in my club got up into the air and scattered. One pilot radioed in from the vicinity of Giddings, Texas (75 or so miles away) as he made his cross-country-contest-practice rounds. Another pilot had a unwanted but safe landout away south of Highway 290. A fellow club member hitched up his glider trailer and trundled off to retrieve him. The day’s thermals were tricksy – narrow and quick to dissipate. If soaring was predictable it wouldn’t be a sport. And if the instructors were predictable they wouldn’t be worth their salt. My second flight with the instructor was extremely brief with a simulated tow-rope break (i.e., he suddenly pulled the towline release at 500′) followed by me flying an abbreviated landing pattern on the side of the field opposite from the usual glider pattern. In other words the instructor gave me a wringing workout after which a simple solo flight felt easy. Independence Day! 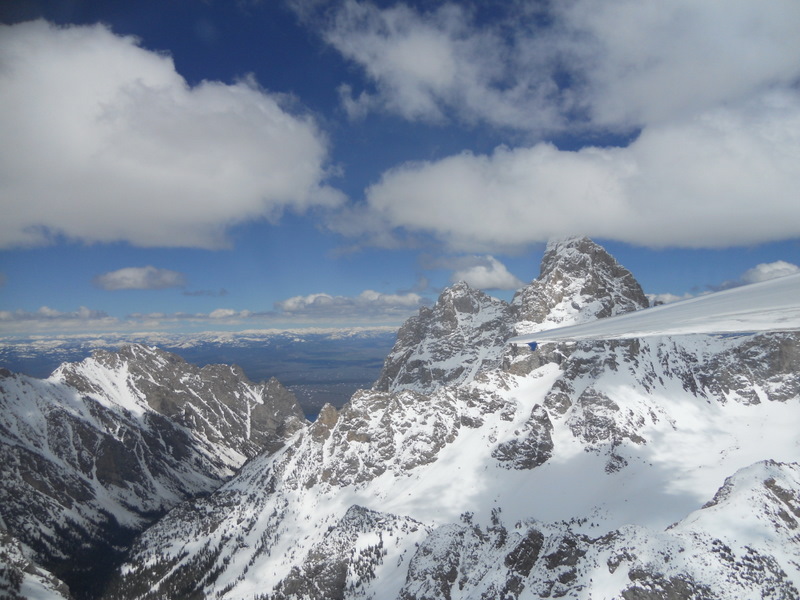 Another picture from soaring in the Tetons. This is the L-13’s yaw string pressed against the clean clear canopy. The yaw string is an amazing bit of low technology in high places. Aircraft instrument panels can gauge safe, efficient, coordinated flight, but taking your eyes off the scenery and situation (including possible traffic) is something to minimize when flying a glider. Thus the yaw string: this bit of yarn taped to the canopy tells you exactly what you need to know. If the loose, tufty end isn’t centered, if it’s pointing right or left, then that foot is pressing the rudder too hard. Take foot off tuft. Here, with instructor Sam Lea flying, the yaw string was nicely centered while I did my photo shoot. 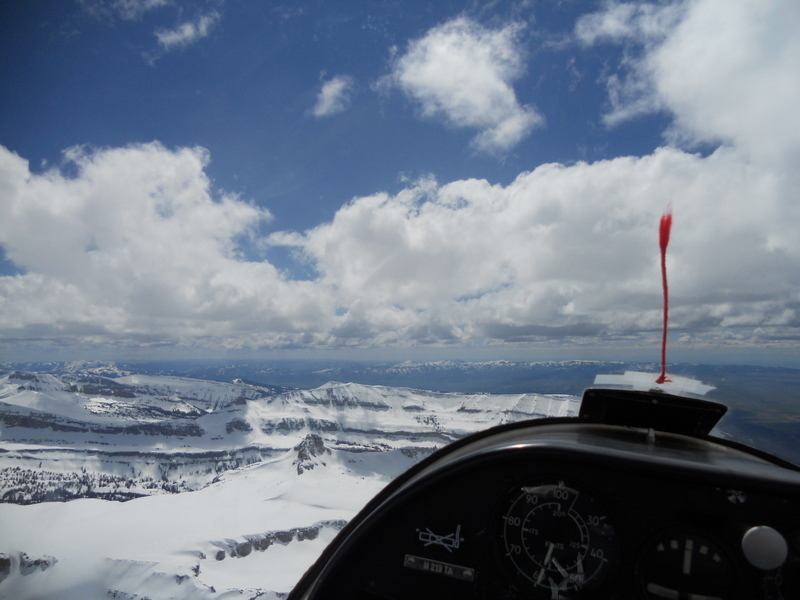 Teton Aviation with its mountain glider operation offers a fantastic experience whether you’re a pilot or not. If you’re a pilot you learn about mountain soaring. If not the Husky tow plane takes you and Sam directly into the high Tetons and you glide back out again through the scenery. Take a look at the pictures on their Web site! Right now this picture delights me for another reason too. 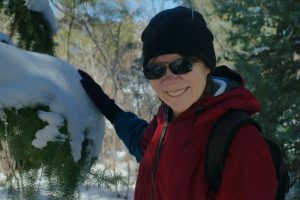 It was still winter in the Tetons – so nice and cool and snowy. I came back to a Houston June with temperatures pushing 100 degrees, stuck between a devil of a drought and the hurricane-brewing deep blue sea. I’m just back from a trip where I put my hiking boots on the terrain in three Western states and soared in the Grand Tetons. With an instructor in the glider’s back seat giving flight advice and mountain orientation, I flew much of the two-hour flight, but the instructor had the stick when I took photos. Never before have I flown with a mountain snow-scape on the other side of the canopy! This is Grand Teton and over its shoulder is Jackson Hole. The Rapture didn’t happen – not in the way notoriously predicted. But on Friday at work we took a few minutes out to watch a hummingbird cam on the Internet where the live image showed a bright-eyed baby hummer on the brink of fledging. (My co-worker supplied a priceless voiceover: “Oh, I gotta preen first – what happens if I wave my wings real hard? – I’m afwaid!! – is that wind under my wings? – better preen some more – ooooh, is that a lawn mower I hear? I better hang on to the edge of the nest harder – Mamaaaa!”) All of sudden the baby strongly waved his wings and flew, up and away. Humans watching on the Internet all over the world cheered. And yesterday at the Soaring Club of Houston, seven Civil Air Patrol cadets got introductory rides, a couple of solo students took flights (can we say fledging? 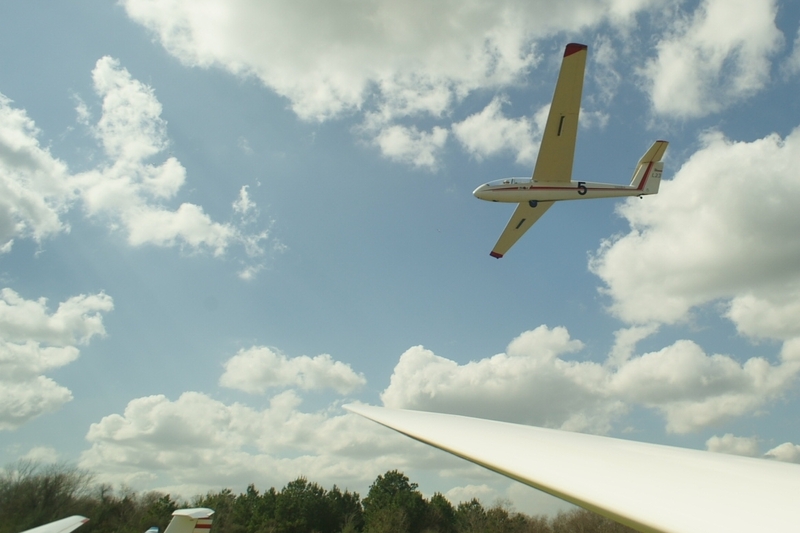 ), a club pilot flew his beloved home-built Woodstock glider for the last time because it’s going to a soaring museum, and a Medical Center doctor joined the club, took his first flying lesson, and came back all smiles. “When I fly in an airliner and there’s turbulence, everybody else gets nervous,” he said, “but I love it.” He came to the right place for exulting in turbulent air. Really, there’s rapture all the time, complete with the end of the old world and a new world beginning.